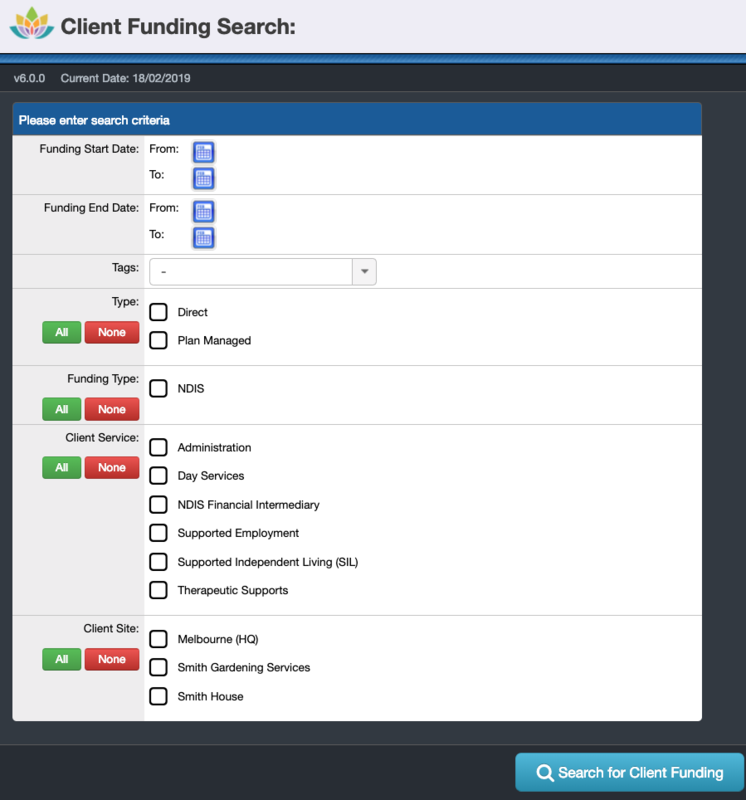 The purpose of the Client Funding Search (available from version 4.21 of SupportAbility) is to give providers the facility to search Client Funding records in order to assist with the various facets involved in their management. Staff must have the 'View Financial Information' Staff Account Privilege to run this report. The results listed are based on the Client records the Staff member has access to. The From and/or To Date in relation to the Funding Start Date can be entered here. This searches for any Client Funding records which commenced from, before, or within this date range. This will generate a list of each Client Funding record that commenced (has a Start Date) within this date range. The From and/or To Date in relation to the Funding End Date can be entered here. This searches for any Client Funding records which finished from, before, or within this date range. Similar to the Start Date search, entering a date here will generate a list of each Client Funding record that finishes (has an End Date) from, to or within the selected dates. 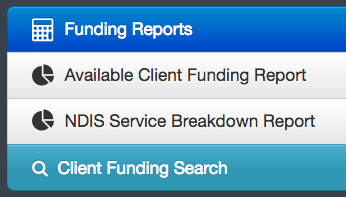 This is useful if you wish to locate Client Funding records that end within a specific period e.g. the current month, to find out more information regarding the Client's NDIS Plan review. 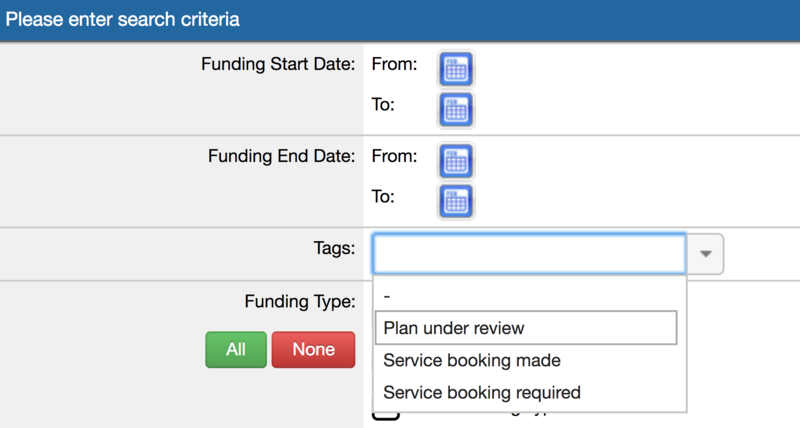 Your organisation's active Funding Types are displayed here and are available to select from via multi-select and include All or None buttons. Your organisation's active Services are displayed here and are available to select from via multi-select and include All or None buttons. This criteria allows you to search for Client Funding records for Clients who participate in this specific Service. Your organisation's active Sites are displayed here and are available to select from via multi-select and include All or None. This criteria allows you to search for Client Funding records for Clients who participate in this specific Site.